New York: Thames & Hudson, 2014. 240 p. $50.00. Readers and users of this book must realize that the title contains the word, “Alternative” preceeding “Atlas” and this book is truly an alternative atlas. Descriptions of this book draw parallels to a collision course of where geography, art, and information science may be confused at their intersection. However, this reviewer urges readers to rethink the standard atlas and instead consider how atlases are usually flat but the contents that they map are usually not flat. This work thus adds an artistic dimension to this mutli-faceted content stretching one’s imagination and understanding of complex content and issues testing the spatial relationships while adding a broader context from timelines and other disciplines fostering a new sense of cartography. The result may not be what readers expect, but the result may illuminate different senses and contextualize what is being mapped into a linked social, cultural, political and technological framework. It is certainly a new atlas product and a significant one. Each chapter contains numerous examples of how information described by that content layer can be mapped, showing relationships that may contour into artistic expressions, may be considered doodling, have layers of different content, but emphasize various elements. The origins and organization of this book are owed to the compiler, Hans Ulrich Obrist, the co-director of exhibitions and international projects at the Serpentine Gallery (http://www.serpentinegalleries.org/) in London. This gallery has hosted what Obrist calls “marathons” and the annual theme for the 2010 marathon was Maps. Readers should not forget to read the afterword by Obrist. It probably should have come at the beginning to help readers find their way with some rather untraditional content and to better understand the organization of the book. 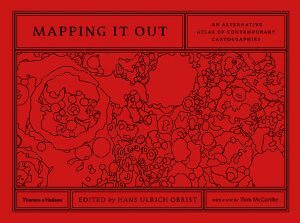 The book is an affirmation of how multidisciplinary mapping is and what a product it has become of interweaving information, computing and technology. One of several new works that explores innovative uses of ICT for mapping applications, readers who appreciate this volume will find value in the relationship between maps, literature, the arts and new knowledge generation. If readers found this book useful, then they should examine the creative works in data and information visualization that have been published including, the many works by Edward Tufte, Isabel Meirelles’, Design for Information: An introduction to the histories, theories and best practices behind effective information visualization (Rockport, 2013) and Martin Toseland’s, Infographica (Quercus, 2014). These each bring out the best of how important visual communication is of abstract relationships that form a central theme in contemporary mapping utilizing the best of graphic arts, technology, history, sociology, data and cultural expression. The Serpentine Gallery’s 2013 marathon was the 89plus Marathon, an attempt to “map the generation born in or after 1989.” This date coincides with the year the Soviet Union came to an end and the Internet began and as curators learned that this age group now makes up almost half the world’s population. Known as millennials in some circles, many social scientists have examined how this population thinks about, consumes, influences popular culture. To get another perspective, the Beloit Mindset List puts into context what each entering college freshman has as a cultural paradigm or perspective. The analogy to this 89plus Marathon is the 2011 and future Mindset Lists (https://www.beloit.edu/mindset/previouslists/2011/) that illustrates what this generation of students are familiar with and aware of and what from the past for which they may have little affinity. 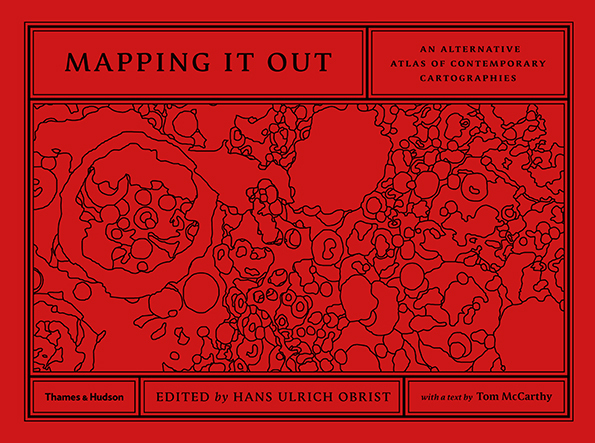 Mapping It Out is indeed a provocative collection of alternative maps. It is a page turner that forces readers not to only rethink the atlas but the book as well. It is a welcome addition to the atlas literature and will introduce the current generation to the past as well as bring current trends in opportunities for visualization to mapping practices. Readers should enjoy the beauty and new way of explanation that this collection of maps provides.